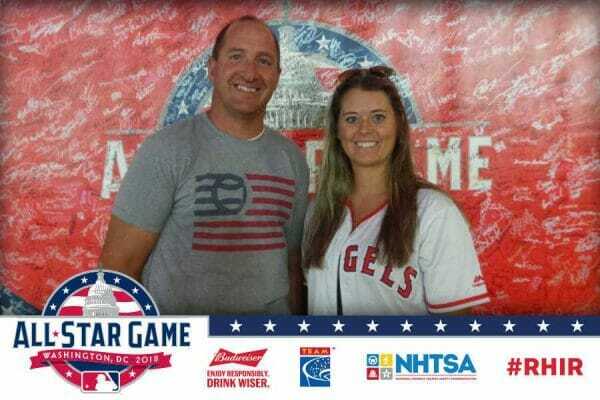 Major League Baseball (MLB), the Washington Nationals, Budweiser and TEAM Coalition joined forces to encourage fans to be responsible and respect others while attending MLB All-Star activities July 13-17, 2018. Through the Budweiser Responsible Fan program and the TEAM Coalition Responsibility Has Its Rewards sweepstakes for designated drivers, more than 5,740 baseball fans of legal drinking age pledged to enjoy responsibly and have a safe ride plan. Budweiser’s Responsible Fan program encourages fans 21 years and older to drink responsibly and always have a plan to get to and from the game safely – whether that’s using a ride share service, a designated driver, or public transportation. Anheuser-Busch founded the program in 1986, and there are now over 100 professional sports teams and venues participating each year. 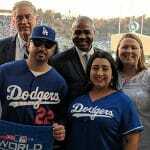 Responsibility Has Its Rewards is an MLB league-wide sweepstakes which rewards one randomly–selected fan who pledged to be a responsible fan with a trip to the All-Star Game presented by Mastercard. 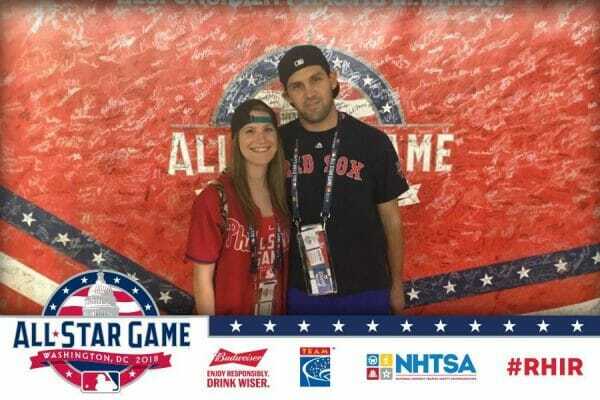 This year’s winner was Carol Virshbo, a responsible fan from Natick, Massachusetts who attended the Gatorade All-Star Workout Day, featuring T-Mobile Home Run Derby, and the 89th Midsummer Classic with her guest. 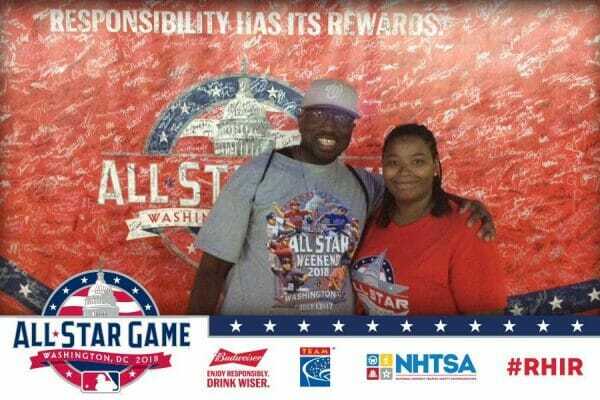 Carol was recognized on the Nationals Park video board at the All-Star Game, serving as a representative of the more than 560,000 MLB fans who pledged to be designated drivers last season. 1,408 fans visited a Budweiser Responsibility Has Its Rewards kiosk inside Nationals Park during this weekend’s festivities, where they took the pledge to enjoy responsibly and have a safe ride plan, and were rewarded with a commemorative Budweiser MLB All-Star Game rally towel. 4,332 adult fans who visited GEICO All-Star FanFest at the Walter E. Washington Convention Center pledged to be responsible, added their autographs to a wall of signatures of responsible fans and received a souvenir photo displaying the responsibility message along with All-Star images. And more than 1,000 kids made the responsibility pledge to buckle up, every trip, every time and not to drink alcohol until they are of legal drinking age. 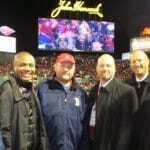 For the 15th consecutive season, MLB, Techniques for Effective Alcohol Management (TEAM) Coalition and Budweiser have joined together to make fans aware of the responsibility programs offered at MLB ballparks. 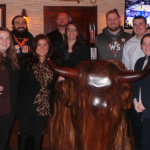 These programs and the “Responsibility Has Its Rewards” sweepstakes promote positive fan behavior by encouraging responsible drinking and safe ride plans. 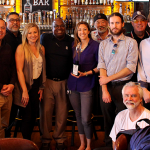 Anheuser-Busch and its wholesalers promote responsible drinking among baseball fans by implementing Budweiser Responsible Fan programs with 20 MLB ballparks throughout the season. Anheuser-Busch is an official sponsor of Major League Baseball. Major League Baseball (MLB) is the most historic professional sports league in the United States and consists of 30 member clubs in the U.S. and Canada, representing the highest level of professional baseball. Major League Baseball is the best-attended sport in North America, and since 2004, MLB has enjoyed its best-attended seasons in the history of the game, with each regular season eclipsing the 73 million mark. Led by Commissioner Robert D. Manfred, Jr., MLB currently features record levels of labor peace, competitive balance and industry revenues, as well as the most comprehensive drug-testing program in American professional sports. MLB remains committed to making an impact in the communities of the U.S., Canada and throughout the world, perpetuating the sport’s larger role in society and permeating every facet of baseball’s business, marketing and community relations endeavors. With the continued success of MLB Advanced Media and MLB Network, MLB continues to find innovative ways for its fans to enjoy America’s National Pastime and a truly global game. For more information on Major League Baseball, visit www.MLB.com. TEAM Coalition is an alliance of professional and collegiate sports, entertainment facilities, concessionaires, stadium service providers, the beer industry, distillers, broadcasters, traffic safety experts and others working together to promote responsible drinking and positive fan behavior at sports and entertainment facilities. TEAM Coalition members and supporters include Major League Baseball, Anheuser-Busch Companies, Major League Soccer, NASCAR, National Basketball Association, National Football League, National Hockey League, National Collegiate Athletic Association, Americrown, Aramark, Delaware North Sportservice, Legends, Spectra, Beer Institute, National Beer Wholesalers Association, Constellation Brands, HEINEKEN USA, MillerCoors, Brown-Forman, Live Nation, National Association of Broadcasters, International Association of Venue Managers, Stadium Managers Association and the National Highway Traffic Safety Administration. For more information, visit TEAMCoalition.org.